Frozenbyte's next co-op title, the magical Nine Parchments, will be coming to Nintendo Switch in addition to the PC, PlayStation 4, and Xbox One. Not sure how all that beauty will look on the portable screen, but wizarding on the go sounds promising. The Trine developer first announced their new game last August, showing off a lot of magic action that was fairly similar to another co-op title involving wizards and magic. There hasn't been much mention or updates from the studio since then. In fact, this is the first piece of news that we've heard at all after the initial announcement. So while there isn't much else to go on, or even a release date, at least we get to enjoy some nice footage of the game in action. 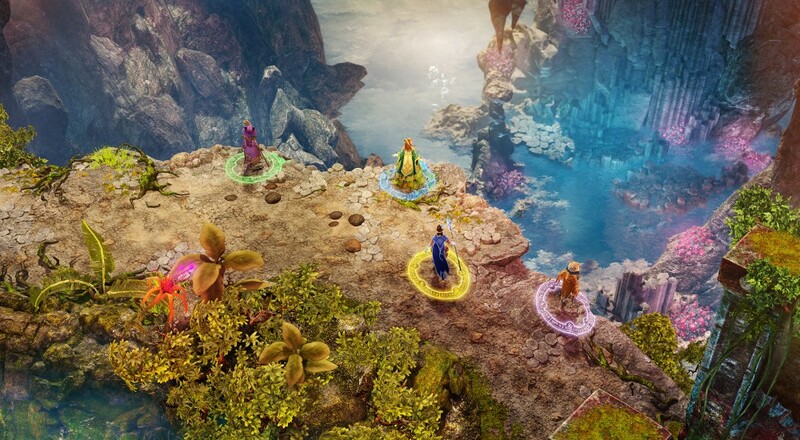 Nine Parchments will support four player local or online co-op when it gets release sometime later this year. Page created in 0.9619 seconds.